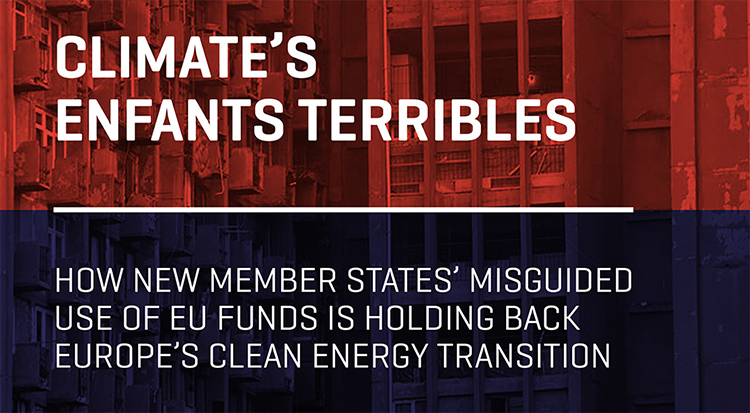 The new member states from Central Europe misuse the EU funding aimed at decarbonising their energy systems. This article first appeared on Euractiv.com. Many hailed the Paris Agreement (pdf) as a turning point in the global efforts to tackle climate change. More than anything, this landmark consensus first and foremost adds urgency to Europe’s responsibility to decarbonise its energy system. 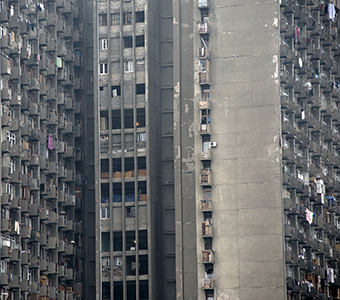 Nowhere is the problem more acute than in the countries of central and eastern Europe (CEE), whose energy systems are some of the dirties and inefficient in all of the EU. EU funds, the main source of finance for infrastructure development, have the potential to be a primary driver for such change. They could help CEE countries rid themselves of fossil fuels-based energy by 2050, accelerate the uptake of renewable energy and boost much needed energy efficiency measures. But for now, just as the Earth registered the warmest year on record for the second consecutive year, this important avenue of funding appears to be going in the wrong direction. Our study released today (26 January) looks at €178 billion in EU Cohesion Policy 2014 -2020 spending plans for Estonia, Latvia, Lithuania, Poland, the Czech Republic, Slovakia, Hungary, Romania and Croatia, and finds that governments there are completely overlooking the climate crisis. On average a mere 7% of these countries’ entire EU Cohesion Policy funding is being allocated for clean energy (i.e. energy efficiency, renewable energy sources and intelligent energy distribution), and CEE governments’ appear hell bent on perpetuating expensive and unsustainable energy mixes, dominated by fossil fuels. EU leaders have repeatedly vowed to phase out fossil fuel subsidies, but both direct and indirect EU support is set to continue financing coal and gas projects. Investments in coal-burning boilers are a case in point, as shown in the Cohesion Policy Funds programming documents of the Polish regions of Małopolskie and Podkarpackie, as well as the Czech Operational Programme Environment. These are not the only ones. Additional information we have obtained indicates that other regions in Poland – namely, Dolnośląskie and Śląskie – plan to negotiate financing for coal boilers to be included in their EU-funded investment strategies. In most countries of the region, biomass is the main renewable energy source supported by EU funds. In Latvia and Estonia it is the only one. Often biomass energy projects are funded without the necessary safeguards to ensure the sustainability of the fuel source. Worse still, some intend to use biomass and coal in tandem, which counts as support for renewables, even though it prolongs the lifetime of fossil fuels-based energy production in the most unsustainable way. In addition, big infrastructure projects, especially in the transport sector, see millions of euros in public funds spent on roads, while ignoring the detrimental health, social and environmental repercussions of such projects. When we presented our findings at DG Regio’s dialogue with stakeholders (pdf), we were told “you might have the wrong figures”. Yet our comprehensive analysis of countries’ Partnership Agreements and Operational Programmes challenges the Commission’s argument (pdf) that “sustainable development and climate change concerns have been mainstreamed” in those same spending plans. This claim is not evidence-based, to keep the official jargon. We believe EU funds can help foster a decentralised and decarbonised circular economy that would allow CEE countries to make a substantial contribution to Europe’s long-term energy targets. But given the current, business as usual trend, these countries will undoubtedly lose much of that transformative potential. When EU money is used for the wrong ends, such spending undermines the joint European effort to address both the climate crisis and promote prosperity, European tax payers cannot ignore this, and neither can the European Commission. Today’s decisions about energy infrastructure investments in CEE will have implications for generations of Europeans and the entire Union. 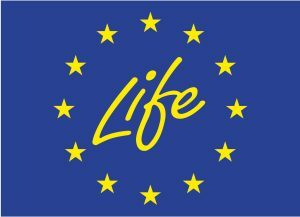 The billions in EU money these governments receive come with a responsibility to all European citizens. Governments of the region must end their countries’ addiction to fossil fuels and instead use this money for facilitating what is essentially an inevitable energy transition. For its part, the European Commission needs to seize the opportunity that is the upcoming midterm review of the EU budget to ensure that funding extended to CEE countries is used to help meet – not undermine – European efforts to combat climate change. Europe simply cannot afford treading the same, outdated energy path.